Non-Bankruptcy Strategy for Seniors Debt - Shalloway & Shalloway, P.A. Sadly, seniors and individuals with a disability struggle not only with rising medical costs & long term care expenses from Nursing Homes, Assisted Living & Home Health Care but with the stress of an unpaid debt while living on fixed incomes. Although our firm’s primary concentration is Medicaid, Veterans Benefits and Special Needs Planning, we are also attuned to this financial stress and can provide solutions for this issue as well. Our clients often believe that bankruptcy is their only option to protect their assets and free themselves from the harassing collection process. However, bankruptcy makes little sense to those on fixed incomes, have assets exempt from judgment enforcement, or those who may not require good credit. Bankruptcy may also require upfront and significant attorney fees and costs, asset liquidation, and uncomfortable financial disclosures. Many people are unaware that federal and state law provides a viable alternative strategy that our firm is experienced in. The Fair Debt Collection Practices Act (FDCPA) is federal law that prevents debt collectors from engaging in tactics designed to harass, abuse, or mislead consumers like you into paying a debt. Notably, the FDCPA only applies to debt collectors and third party debt buyers. It does not cover collection activities performed by an original creditor. In some states, if an original creditor transfers your debt to another person (called an “assignment), that debt buyer cannot then sue you for that debt. 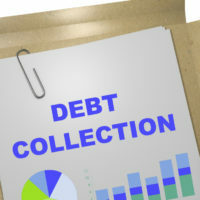 Florida does allow for the collection of assigned debt, but provides consumers thirty days’ notice of the assignment before collection attempts. Like the FDCPA, the Florida’s Consumer Collection Practices Act (FCCPA) protects consumers from abusive, harassing, and unfair debt collection practices. However, under the FCCPA, debt collectors are more broadly defined as “any person” in any business or any person who regularly collects or attempts to collect debts owed or due, so original creditors fall under its purview too.